• in return for an immediate cash payment. “Originator” in these guidelines refer to a bank that transfers from its balance-sheet a single asset or a pool of assets to an SPV as a part of a securitisation transaction and would include other entities of the consolidated group to which the bank belongs. (c) paying the consideration for the acquisition of the financial assets to the originator, i.e., the bank! Fis, which transfers such financial assets. (1) Investor means a person, who is holder of any securitised debt, instrument or securities issued by the securitisation trust (clause (a) of the Explanation below section 1 15TC. Means the owner of a financial asset, which is acquired by a securitisation company or reconstruction company for the purpose of securitisation or assets reconstruction (section z(r)). Means a person liable to the originator, whether under a contract or otherwise, to pay a financial asset to discharge any obligation in respect of a financial asset, whether existing, future, conditional or contingent and includes the borrower (section z(q)). (v) intangible assets, being know-how, patent, copyright, trade mark, licence, franchise or any other business or commercial right of similar nature (section z(t)). Means a financial institution, insurance company, bank, state financial corporation, state industrial development corporation, trustee or securitisation company or reconstruction company, which has been granted a certificate of registration under sub-section (4) of section 3 or any assets management company making investment on behalf of mutual fund or a foreign institutional investor registered under the Securities and Exchange Board of India Act, 1992 (15 of 1992), or regulations made thereunder, or any other body corporate as may be specified by the Board (section z(u)). in any other case, in accordance with the directions or guidelines relating to assets classifications issued by the Reserve Bank of India (section z(o)). (8) Securities mean debt securities issued by the SPV as referred to in the guidelines on securitisation of standard assets issued by the RBI (vide clause (b) of the Explanation to section 115TC). (i) special purpose distinct entity as defined in clause (u) of sub-regulation (1) of regulation 2 of the Securities and Exchange Board of India (Public Offer and Listing of Securitised Debt Instruments) Regulations, 2008, made under the Securities and Exchange Board of India Act, 1992, and the Securities Contracts (Regulation) Act, 1956, and regulated under the said regulations. (ii) SPV as defined in and regulated by the guidelines on securitisation of standard assets issued by the RBI, which fulfils such conditions, as may be prescribed. Securitised debt instrument is defined in clause (c) of the Explanation to section 115TC. The said clause refers to clause (s) of sub-regulation (1) of regulation 2 of the Securities and Exchange Board of India (Public Offer and Listing of Securitized Debt Instruments) Regulations, 2008, which, in turn refers to section 2(h)(ie) of the Securities Contracts (Regulation) Act, 1956. • It is any certificate or instrument (by whatever name called). • It is issued to an investor. • Its issuer is a special purpose distinct entity. • It possesses any debt or receivable, including mortgage debt assigned to such entity. • It acknowledges beneficial interest of such investor in such debt or receivable, including mortgage debt, as the case may be. If all above ingredients are present, then the certificate or instrument shall be treated as ‘securitized debt instrumenf. (1) the loan is sanctioned by the secured creditor to the borrower. (2) the secured creditor assigns/sells the financial dues of future from the borrower to the securitisation company. (3) The borrower becomes the obligor, the secured creditor is referred to as the originator. (4) the financial assets are sold for a consideration to the securitisation company, which raises the funds from the QIB. Essentially, the QIB is the investor, which subscribes to the securities issued by the securitisation company for the purpose of paying off the originator, or for the purpose of the subscription of the securities. (5) the QIB receives the payment of the dues made by the obligor to the originator 5 and the transaction becomes self-liquidating type. Due to many considerations, the financial assets may be transferred to the SPV, which may be set up by a securitisation company (as per the Act), which would acquire the assets and issue the security receipt. The idea is to keep the originator/securitisation company separate from the entity, which is to deal and hold the securities issued for the purpose of the transaction. (5.1) A securitisation company acts as a conduit/SPy for transferring the financial assets of the originator to the QIB. This can be referred to as a conduit between the two. There are other reasons for bringing this entity into existence. (5.2) The structure of SPV can be a trust, like debenture trustees, which are appointed for a very specific purpose. Trust is not a legal entity in law. The trustee typically issues the security receipts/PTCs, which is a certificate of beneficial interest. Beneficial property and legal property are different in law and hence, the security receipts/ PTCs would not amount to the transfer of property by the SPE/ SPV. It just proves that the holder has some beneficial interest. Trustee can hold property. (5.3) In short, SPV acts as a conduit between the QIB and the originator. With the above background, the Income-tax provisions relating to Securitisation Trusts (S. Trusts for short) referred to earlier in paras 1 & 2 can be examined. The initial issue that arises for consideration in the context of securitisation provisions introduced by the Finance Act, 2013 is regarding the need for such provisions. 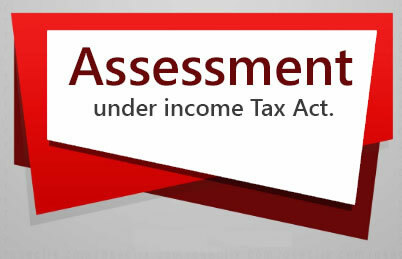 Some mention about their necessity can be gathered from the Finance Minister’s speech extracted earlier (in para 1): The major concern justifying such provisions in the Income-tax Act could be said to be the emergence of mutual funds in a major way in the last 2-3 decades and the exemption of their income under section 10(23D) of the Act. Hence, if such mutual funds themselves carry on securitisation, there would be no need for SPV with a distinct entity as income arising from such activity would be exempt from tax. But, this is not permissible under the SARFAESI Act because securitisation activity has to be through an SPy. So, if a separate trust is set up by mutual funds, its income would be taxable under section 161 of the Act at the maximum marginal rate, i.e., at 30% + education cess at the prescribed rates. Section 161 of the Act provides that in case of a trust if its income consists, of or includes, profits and gains of business then income of such trust shall be taxed at the maximum marginal rate in the hands of trust. (i) The income of Trusts, whose activities are to be regulated by the SEBI or the RBI, will be exempt from tax regarding income from securitisation activities. (ii) If such trusts distribute any income to its investors, it would be liable to dividend distribution tax (DDT) on the lines levied in the case of mutual funds. 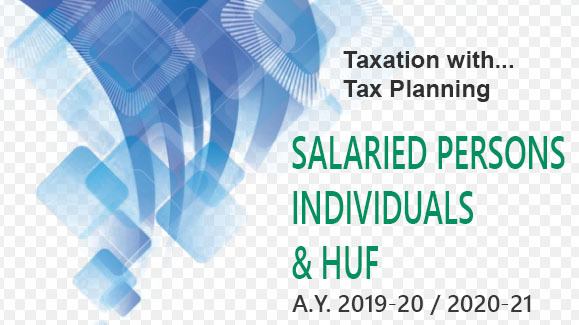 The additional income-tax shall be levied at the rate of 28.325% (inclusive of surcharge, education cess and secondary and higher education cess) in case of distribution being made to investors who are individual and HUE and at the rate of 33.99% in other cases. No additional income-tax shall be payable if the income distributed by the securitisation trust is received by a person, who is exempt from tax under the Act. Section 10(23D) newly inserted in the Income-tax Act, with effect from the assessment year 2014- 15, however, provides that any income of a securitisation trust from the activity of securitisation shall be exempt from tax. 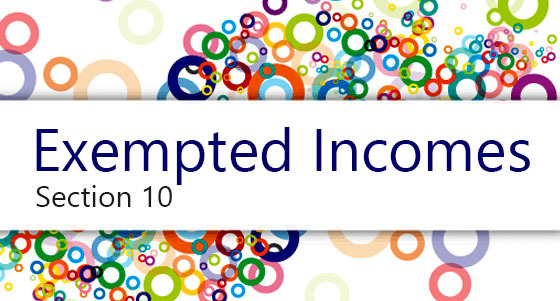 (iii) The distributed income would not be taxable in the hands of the investors (section 10(35)). The securitisation trust will be liable to pay interest at the rate of one per cent, for every month or part of the month or the amount of additional income-tax not paid within the specified time.